When we meet our clients most of them have other advisors and have done some level of planning. Most would ask, “So, why do they need us?” Our goal is to take our clients planning to the next level by looking at your entire financial picture from a cross disciplinary approach. Not just a legal, tax, or investment point of view but across the board. 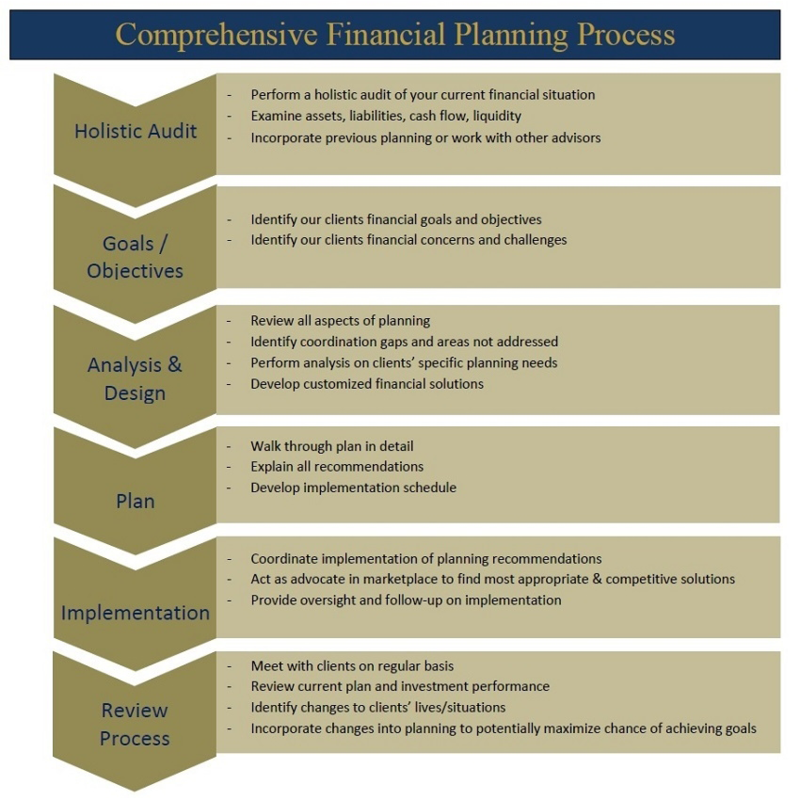 Our approach to the below process allows our clients and advisors to identify the planning gaps and opportunities.